PARK CITY- DINOSAURS - Yes folks, Park City, Utah used to have Dinosaurs. 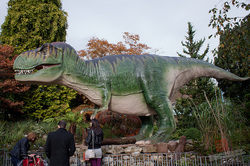 About 20 years ago, dinosaur remains were found near the Canyons Resort. They found the remains of a Mammoth, a Saber Tooth Tiger, a Mastodon and other dinosaur remains. So, imagine millions of years ago, right here in beautiful Park City, there were dinosaurs. How great is that? Now, the only place other than the Utah Museum of Natural History to see Dinosaur remains is either Dinosaur Land National Monument or Thanksgiving Point. Many of our taxi drivers provide tours or transportation to any of these great vacation spots. For more information go to our home page www.fastaxi.org or call us at 435-783-8294. 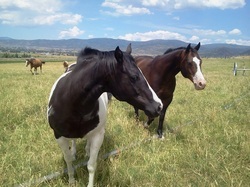 PARK CITY- THE HISTORY OF HORSES - You will notice horses around Park City. We do love our horses. But did you know that Indians lived here dating back to the days of Christ? Over 2,000 years ago, there were Indians right here in Park City. What makes this so amazing is horses did not come to America until about 500 years ago. Imagine trying to live in these wonderful mountains in the winter without horses. PARK CITY- ABRAHAM LINCOLN - Abraham Lincoln played a huge part in the formation of Park City. When the Pioneers first came here they had trouble with the Indians. It wasn't the Indians' fault, the Pioneers took control of the Indians' trade routes and the Indians were not happy about it. Abraham Lincoln had two concerns. One, the mail route was in danger due to the Indians and second he was worried that all of Utah would be Mormon. In his effort to protect the mail routes and encourage diversity, he sent in the American Military. Their job was to guard the mail routes and look for precious metals. 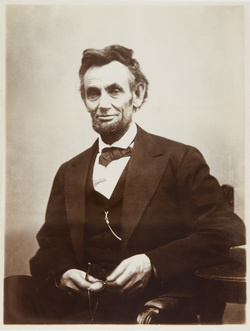 Lincoln believed that if they found gold, other people would come into the area and diversify the population. It worked. One day in late Autumn, the military found Silver in what is now Upper Deer Valley. Winter was coming so they took a stick it in the ground and tied a bandana on it. When spring came...So did the silver rush of Park City. With the silver rush came miners, bars and brothels. Where the soldiers found silver is Bandana Run in Deer Valley. There is a monument there to this day.